Only have showers? How about a relaxing soak, if not in the bath sit with your feet in a bowl and feel that tension lift. MASTERCLASS – 2 hour anti-ageing clinic, Prepare, Pamper, Prescribe & Perform! 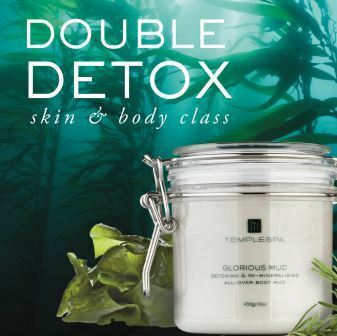 DOUBLE DETOX – 2 hour spa bootcamp! Not sure which you would like first? 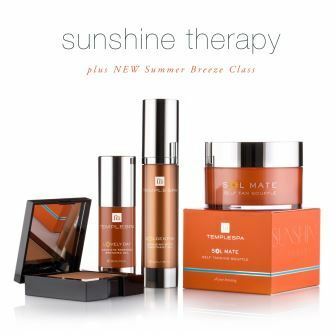 Always start with the basics, your Skin Therapy is simple and easy to follow. Become a VIP host! when you host 3 classes within 12 months you will also qualify for an extra special hostess gift! A tranquil setting to sooth your senses from the moment you walk through the gate! A petite Mediterranean inspired garden, follow the path to my unique log cabin beauty room and soak in the sight and sounds, birds singing, the gentle flow of water, fragrant flowers and herbs with colourful slate. Its like taking yourself on a mini vacation! I will share with you a wide range of beauty treatments while you enjoy your ‘me time’ in a cozy little sanctuary created for you. We all need to feel special occasionally, what could make you feel that way more than having your own personal Lifestyle Specialist, Hair Stylist or Beauty Therapist? As my unique beauty room is by appointment only there will be no interruptions from phone calls or people walking in (I do have my phone on silent unless I am timing your colour!). While you are here in the peaceful setting you really can relax! Please call me on 07909 112232, I take calls between 9:00am and 8:00pm Monday to Friday and until 5:00pm on a Saturday (if I don’t answer, leave a message and I will call you back as soon as I am able), Sunday is my family day and I don’t take calls or answer text messages on this day, if you need to contact me outside these hours please send an e-mail to louise@thecompleteyou.co.uk. Please see the Price List for my latest prices as I keep this up to date. Special offers will be available throughout the year too! My Facebook page will include all special offers available, all you have to do is click like on the right of this page and you will be kept up to date on your Facebook wall. 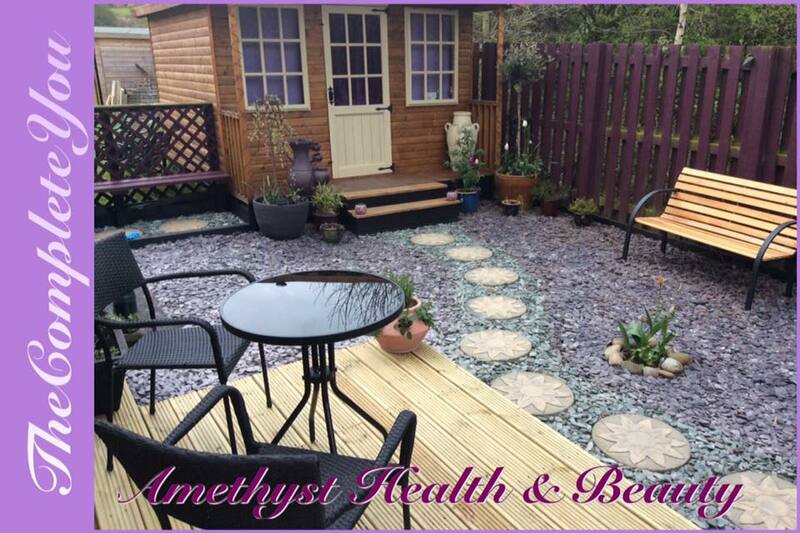 I also have a Facebook Page for my Amethyst Health & Beauty where I keep you up to date with the Hostess Gifts available for the month and seasonal special offers that they often have! You can also Follow me on Twitter, I'm literally everywhere. I qualified in all aspects of both Hairdressing and Beauty Therapy 20 years ago at Huddersfield Technical College and have worked as both a Beauty Therapist in salons, a Hairdresser and for 3 years in health spas on a few cruise ships from the Mediterranean, Caribbean, to as far as Alaska, working with various product ranges such as Clarins, Guinot, Pytomer, Ionithermie, Elemis, L’Oreal, Wella and many others, I have a wide variety of experience and have found my favourite products of all time! The Complete You was the birth of my business, Beauty is not only skin deep, it is about the whole person including health and well-being, and as part of that I wanted to create a web site where people could go and read information and advice like an online magazine, somewhere that you can keep returning to with new content being added on a regular basis. Life is so much more stressful and demanding these days due to the faster pace and the fact that everyone wants everything ‘yesterday’, multi-tasking is difficult, even for a woman, especially when tiredness and exhaustion takes over. This type of stress can be damaging to your health and that is without the additional ‘credit crunch’ where people are concerned for their jobs and their families. The Complete You is aimed at helping you to over come and reduce stress, help you to think about all of you body, mind and soul. To read more go to The Complete You. I created the web site during the early days of my mobile hair and beauty business, setting the background for what I belive is essentiel to modern day life. A recent addition to this is health and nutrition which you will find on my Facebook page The Complete You – A Healthier You with Louise, I share tips, advice and recipes too. The Complete You – Health & Beauty Inside and Out! 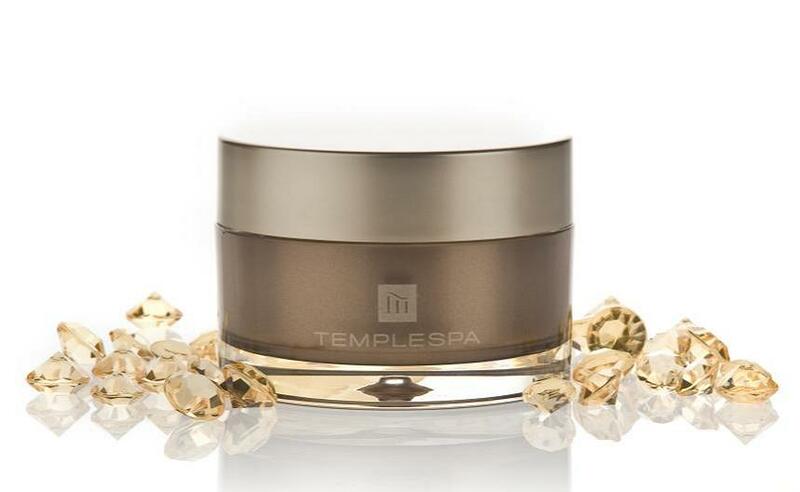 Temple Spa is a lifestyle brand inspired by the ancient word TEMPLE, which describes the body as a sacred place and a precious house, and SPA which is a space for health and relaxation and conjures up a sense of absolute comfort and joy. I discovered Temple Spa in December 2009 when I was looking for a little luxury to offer my clients, I became a lifestyle consultant in the January. 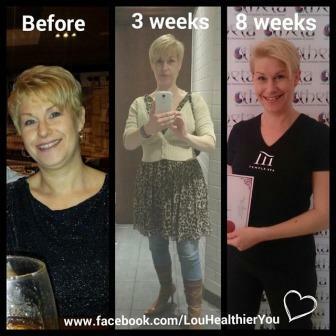 Since May 2014 I have been on a healthier journey after beginning to feel old! Aching, arthritis, unfit and a little over weight, it was time to take myself in hand! Since then I've never looked back and in June I became a mentor myself after only THREE weeks, yes I was that impressed with how the products improved my health that I just had to tell everyone! juice Plus is a nutritional product harnessing all the nutrients from fruit, veg and berries, there are a variety of products to suit your needs for both adults and children. You can find out more on my Juice PLUS website. Ever year I host various events at my home supporting Charities such as Macmillan, they have A Really Good Night In (April) and The Worlds Biggest Coffee Morning (September) and recently The Candlelighter which is fairly new to me. October is Breast Cancer Awareness month. An opportunity to get your hands on amazing Temple Spa products as well as giving to charity with raffles, prize draws and games. I am happy to donate to other events needing prizes, perhaps you would like me to bring Temple Spa to your event, give me a call and we can discuss how I can help. Would you like to treat someone special? Gift Vouchers are available for that special occasion, Birthday, Anniversary or if you just want to make family or friends feel special! 3 treatments or more (above Ã¯Â¿Â½10 each) will receive a discount automatically, however, if you would just like to treat someone to 1 treatment see the Price List, there is no extra charge for the voucher or gift card, these will be included complimentary. Prices are not included on the Voucher, only the treatments that you have chosen. 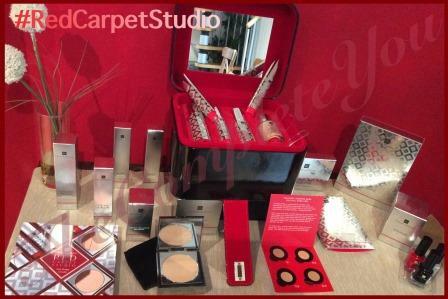 The Simple Voucher includes a Simple Facial, Manicure and Pedicure with nail art to 4 nails and takes approx. 2 and a half hours. 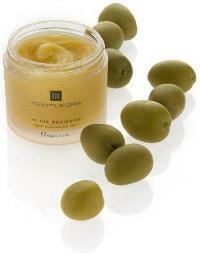 The Spa Therapy Voucher includes a Spa Therapy Facial, Spa Therapy Manicure and Spa Therapy Pedicure and takes approx. 3 and a half hours. I have reviews on Touch Local, Freeindex, QYPE and comments on my Facebook page. If you would like to give your review on one of those sites that would be great, otherwise, e-mail your comments so that I can add them to my web page. I am so glad that I found you on the Internet and feel even better now I have made an appointment with you for next weds thanks very much. Your pictures on your facebook are amazing absolutely beautiful. Wow... I just loved having these nails and best of all they lasted nearly 3 weeks... I would recommend to everyone... having your nails done by Louise and using these products. View our full profile on the Touch Wakefield directory. 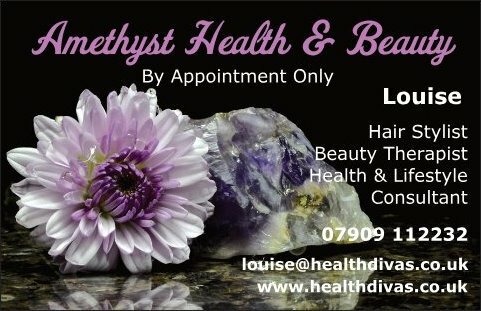 Hair & Beauty Mobile by Louise is part of ‘The Complete You’ and is not responsible for advertising content within this site, all information is true to our knowledge and given by those advertising. All information and advice from our experts is given using the experience and knowledge following qualifications gained at reputable colleges. Should anyone disagree with any of this advice, please e-mail contact@thecompleteyou.co.uk and we will look into it.